For an organization working in the intersection of human rights and journalism, this was unacceptable. Working with CPJ’s Technology Advocacy Staff, Kamal Singh Masuta developed and made a case to management, recommending that cpj.org be offered as an HTTPS-only website. 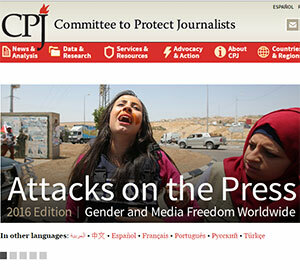 He implemented the plan, working through issues like mixed-content errors, putting cpj.org ahead of many news media companies and NGO’s. This not only helped protect the at-risk journalists CPJ serves; it also helped solidify CPJ’s moral authority and technical expertise when it began calling on other organizations to do the same. Offering a website in HTTPS is not technically difficult. The first challenge you’ll run into is convincing website owners that this is an essential project and is has a favorable ROI. Similarly, there is no real purchase required to make a website available in HTTPS. Services such as Let’s Encrypt and Cloudflare offer free options. The cost will be in time spent by in-house or freelance technical staff to implement.